Horses are subjected to a constant respiratory challenge from fungal spores, dust, pollen and other tiny particles in their immediate environment, whether they are stabled or out at pasture, working and competing outdoors, or in an enclosed indoor school. Most horses cope with these challenges, but there are occasions when a healthy respiratory system is overwhelmed, and horses cough to try to clear their airways. 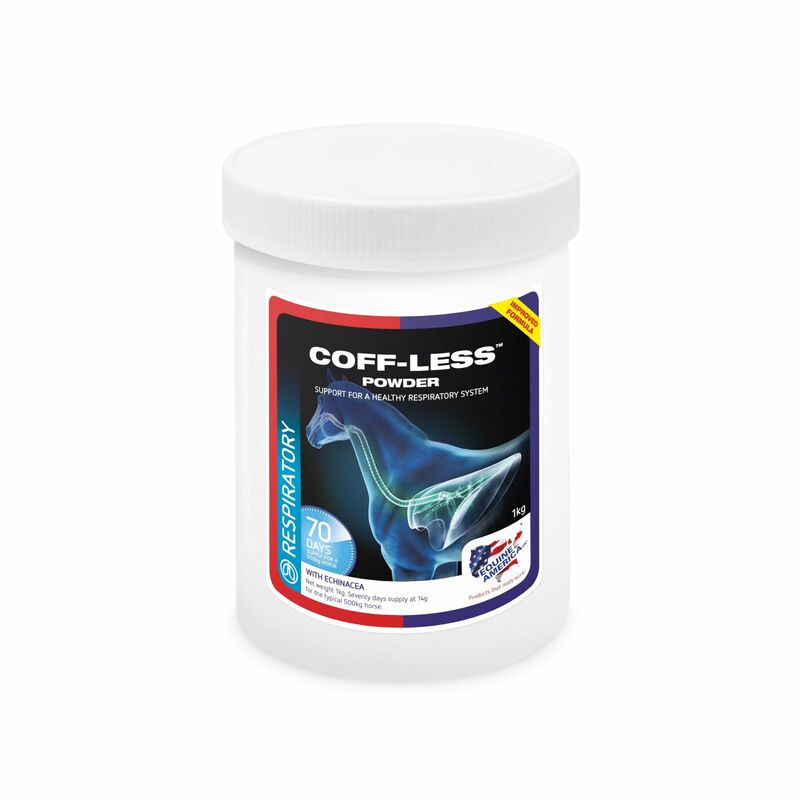 Targeted nutritional support can help support the horse’s natural defences against such challenges, and Coff-Less Powder contains a powerful blend of natural herbs and phytochemicals (active compounds from plants), known for their role in maintaining respiratory function. Coff-Less also contains Echinacea and MSM to help support the immune system. Airways Xtra Strength Powder – may be used after Coff-Less to help maintain respiratory health.